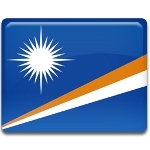 Presidents' Day is a public holiday in the Marshall Islands celebrated on November 17. The date was chosen because it coincides with the birthday of the country's first president, Amata Kabua, who was elected for consecutive terms and served from 1979 until his death in 1996. Amata Kabua was born on November 17, 1928. His political career began in 1963, when he was elected to the Congress of Micronesia. At that time, the Marshall Islands were part of the Trust Territory of the Pacific Islands administered by the United States. Kabua was a principal participant in the negotiations to gain independence for the archipelago. When the Marshall Islands became a self-governing country in 1979, Kabua was elected the country's first president. Subsequently, he was re-elected in 1983, 1987, 1991, and 1995. Amata Kabua died from a long illness during his fifth presidential term on December 20, 1996. He was succeeded by his cousin Imata kabua. Presidents' Day in the Marshall Islands is not celebrated with great pomp. Official events include a brief wreath-laying ceremony at Amata Kabua's tomb, a special luncheon hosted by the incumbent president, and an official message from the president broadcast throughout the day.